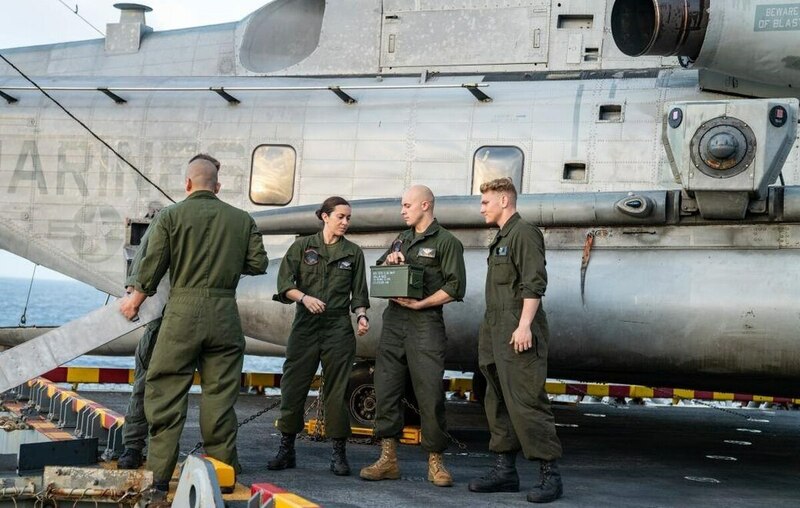 Tragedy struck the amphibious assault ship Essex on Aug. 9, 2018, when a 21-year-old Marine from the 13th Marine Expeditionary Unit went overboard in the Sulu Sea off the Philippine coast. The exhaustive search for New Hampshire native Cpl. Jonathan Currier lasted five days and covered more than 13,000 nautical miles, with search aircraft flying 110 sorties and a combined 300 flight hours, according to a press release. Now, six months later, Marines and sailors on the Essex gathered for a memorial service to honor their lost comrade. Marines & Sailors with the #13thMEU held a memorial service honoring Cpl. Jonathan Currier while sailing through the Sulu Sea; the same sea where Currier went missing six months earlier. Currier had been an Eagle Scout, church altar server and JROTC cadet, according to his obituary. He enlisted in the Corps in 2015 and was a CH-53E Super Stallion crew chief assigned to Marine Heavy Helicopter Squadron 361 out of Miramar, California. Stars and Stripes was first to report on the at-sea memorial for Currier.